This miniature dollhouse bedroom furniture item is a classic styled dollhouse double bed in 1:12 scale. 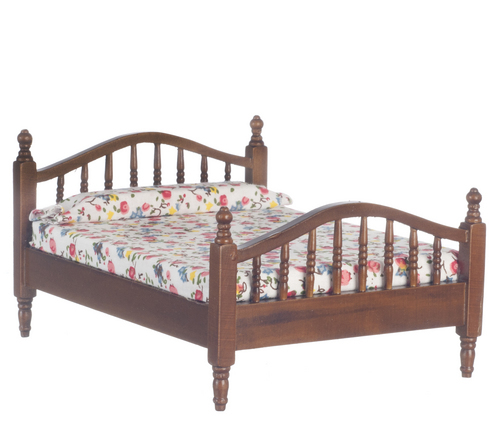 The miniature Classic Double Bed includes the floral linens as shown. 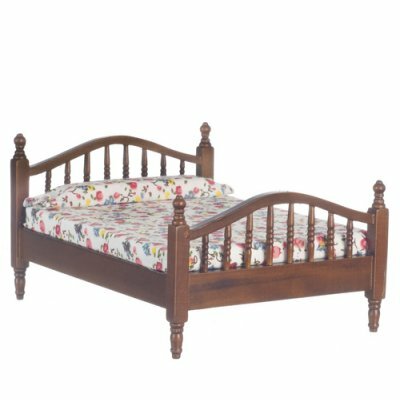 This Classic Double Bed - Walnut is supplied by Aztec Miniatures, which generally ships within 8 business day(s) of you placing your order .